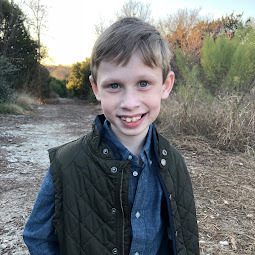 Bennett Brinson Gamel: Fighting Cystic Fibrosis: When Caves and CF don't mix. When Caves and CF don't mix. This morning, I had a conversation with Oliver - a conversation that probably felt to the five-year-old as nothing more than Mom figuring out logistics for his long-awaited trip to a local cave. But, for me, as a mother, it was something deeper, a moment with a purpose, a moment when God seemed particularly near. I knew even before I began the conversation that it was an opportunity to prepare Oliver's heart (as well as my own) for many more conversations to come - about the loss the disease Cystic Fibrosis brings to Bennett and ultimately to our family. For several months now, Oliver has been looking forward to getting to visit the inside of a real cave. So, for weeks, our family has been planning a day trip to visit the Interspace Caverns in Austin. I can't fully articulate how excited Oliver is about getting to go see a cave. He has been counting down the days and discussing each day his anticipating of getting to see "all the the rocks and crystals." (He is in love with the idea that average looking rocks hold within them beauty and value.) It has been fun to see how much Oliver lights up when he talks about his upcoming adventure to a cave and "the Rock store." So, it was with great disappointment when Brian and I realized a few days ago that visiting a cave might actually not be in the best interest of Bennett (who is equally excited about visiting a cave as his big brother has made the anticipation of such a thing seem beyond amazing). Unfortunately, caves, like many dark wet places, are known to trap airborne fungi in them and can be home to bats who also risk of giving off airborne respiratory viruses through their poop droppings. This is not something we are necessarily worried about for ourselves or for Oliver. 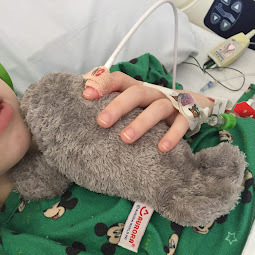 But it really worries us about exposing Bennett's vulnerable Cystic Fibrosis lungs to viruses or fungi that could get him very sick and potentially colonize in his lungs. We work too hard to keep him well to want to compromise all that work for a short trip in a closed space that could expose him to hazardous airborne bacteria. So, last night, Brian and I made the decision that Bennett cannot go with us on this trip to the cave. "Oliver, can I talk with you for a few minutes?" Oliver, climbing up on my bed and very curious about the tone of my voice, said, "Sure, Mom." I began our conversation talking about Oliver's Papa (Brian's dad) who has lost the ability to walk due to a benign tumor in his spinal cord. "You know how Papa's legs don't work right? You know how Papa has a special chair that allows him to go with us most of the time, because it helps him even though his legs don't work right? But do you also know how there are some times and some places that Papa can't go with us because a chair doesn't work (such as go up stairs or climb inside outdoor playground equipment)?" I continued, "Well, just like we sometimes chose to not do something because Papa's legs don't work and we don't want to leave him out or hurt his feelings, sometimes we have to do that with Bennett, too. Because Bennett's lungs don't work right. Does that make sense?" Oliver indicated it did and he continued to listen. I began to explain how awesome the cave is but how it also poses a risk of infection for people whose lungs don't work right and are vulnerable to getting sick. I explained that mommy and daddy had decided that in order to keep Bennett safe and his lungs healthy, we didn't feel like it would be best for him to go to the cave. I could see Oliver's brain absorbing all that I was saying. I explained that this information would be very sad for Bennett because he, too, wants to go to the cave. But I shared with Oliver that Mommy and Daddy wanted to talk to him about it before talking to Bennett because we thought Oliver might be able to help us figure out a way to still make our trip work. I basically presented the conversation in a way that made Oliver feel a part of the decision-making process and encouraged him to evaluate how the trip would likely change knowing Bennett couldn't go. The last thing I wanted was for Oliver to be, in any way, under the impression that Bennett just wasn't going to get the privilege of going. Instead, I wanted Oliver to understand the difficulty of such a decision and understand the emotions Bennett might have upon hearing this news. I asked Oliver for his suggestions of how we could still let him get to enjoy the cave but could also keep Bennett safe. Oliver came up with the bright suggestion that maybe one of his grandparents could come and watch/play with Bennett while the three of us (Mom, Dad and Oliver) could go to the cave. I valued his suggestion but explained our grandparents are too far away that that wouldn't work for our upcoming trip. Oliver then suggested that I stay with Bennett and Daddy could take him to the cave. This was the exact solution Brian and I had come up with but it was wonderful to see Oliver feel like it was his idea. 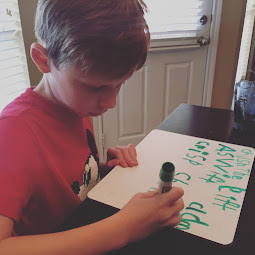 Jumping off of his workable solution, I explained that maybe Mommy and Bennett could travel down to Austin with Oliver and Daddy and do everything except the cave and maybe find something special for Bennett to do during that time. I asked Oliver what he thought Bennett might feel since he won't be getting to go in the cave. Oliver immediately identified Bennett would likely feel sad. But, he offered to make sure to gather "lots of rocks and crystals from the outside of the cave" to give to Bennett so Bennett might feel a bit better. I loved seeing the empathy Oliver had for his little brother. Although this was going to be a highlight of his summer, he could still value the loss that Bennett might feel when he learns he cannot be a part of this experience. As I ended our conversation, I could sense tears welling up in me. I had to just explain to big brother how little brother's sickness was going to change our much anticipated family adventure. And I watched as big brother wrestled with knowing his little brother was going to miss out. "Oliver, how does your heart feel, after having to have this conversation?" "part of my heart feels happy. And part of my heart feels sad." Choking the tears back, I nodded and said, "that's exactly how my heart feels too, Oliver." I thanked Oliver for sitting down and talking with me. We kissed and off he went to play. But my heart had a harder time letting go. I realized shortly after our conversation how valuable moments like these are...discussions of really big things in the midst of discussions of very little things. One day, Brian and I may very well have to sit with Oliver and talk about how Bennett's health is failing or about other losses that Cystic Fibrosis may bring to our family (such as not being able to use hot tubs, get near people who are sick or potentially missing family vacation because Bennett has been admitted to the hospital). 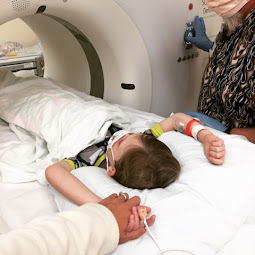 As Bennett gets older, he will also join us for these discussions - moments of grief intertwined with verbal confirmation that we are family and so we choose to do things (or not do things) based on each family member's needs and limitations. On one level I think Oliver won't likely remember much about this morning's conversation. But, one another level, I think Oliver will likely associate this trip with his beginning to understand that Cystic Fibrosis is not just a disease that affects his brother's lungs but a disease that affects all of our lives. I can't keep CF from ruining our plans or from keeping Bennett from getting to interact with certain aspects of life. But my hope is that Cystic Fibrosis will benefit us all - that even right now, at 5 years old, CF will create in Oliver (and later in Bennett) a sense of compassion for those who are different from ourselves (such as those who have limitations) and that through coping with this disease we will each gain a greater understanding about what it means to be truly fortunate. Cystic Fibrosis might change our family plans from time to time. But maybe, if we look more deeply, we can realize we're the lucky ones. Cystic Fibrosis is a constant reminder to Brian and myself, to Oliver and to Bennett, that our lives are not mean to be lived for ourselves but, instead, to be lived for others. Maybe it's not going to the cave that is going to be special to Oliver. Maybe, instead, what will be special to him will be the delight of enjoying a cave while dreaming up unique ways include his brother while he's in there. We had much the same experience last summer wanting to go to caves in the Black Hills. SO HARD to work to allow CF to be a growing experience for your whole family rather than a heart hardening experience. God is good and He is able. Thank you for sharing your conversation with your kiddo. Soon...we pray that life will look very different for our kiddos with CF and collectively for our families! Breck, there was so much wisdom in your words to Oliver. I love how you presented everything to him in a loving, truthful, mature (and on his level at the same time) kind of way. I know conversations like this are never easy for you, but I think the Lord is in your words and at work in Oliver's heart. Continuing to pray for you on your journey with CF. Have FUN in Austin! Thanks for sharing this. I know these conversations will be coming in the future with my girls and I hope I handle them as well as you do! Thanks for your comment, Amy. Your words are meaningful to me. I have no doubt you and your girls will manage those conversations beautifully. You are such a sweet and loving mama! This is Robin Hogan. Loved this post- such a thoughtful boy you are raising! I wanted to quickly offer a bit of info that you may already know about Inner Space. After you are finished with the cave and are back on the surface, you can purchase a large plastic bag of dirt and rocks and go outside to these neat waterways and sluice for the crystals/minerals that are "planted" in each bag. Both of your boys will get a kick out of this and it is WELL worth the money. Your little family is so precious. Those boys are so sweet! I hate to be harsh but I have CF and what you should have done was have your whole family not go in the cave. Sure Oliver would be upset but that is better then Bennett feeling like a diseased boy. I at one time wanted to scuba dive more than anything. Unfortunately my CF made that extremely dangerous so I was told I could not learn to dive. This made me reay upset and if my sister got to go but I didn't I would be mortified. My first blog post ever. Whew. That's a long break, eh?